With Anacapa and Santa Cruz in the background, the pier is glowing pink. This view shows the top of the pier and the bend at the end of its 1,620 foot length. 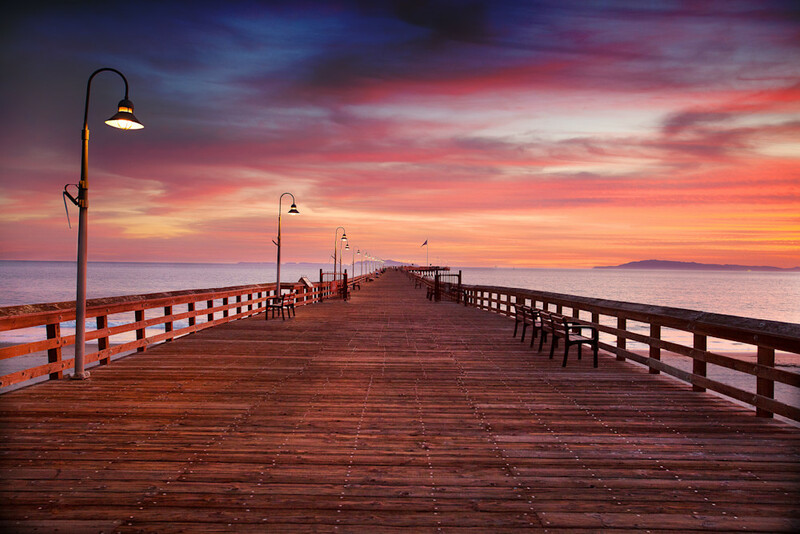 Originally built in 1872, the Ventura Pier is Californias oldest wooden pier and at one time, the longest. A long history filled with fires and large waves has taken its toll on the original 1,928 foot structure. Today it is recognized as the 6th longest pier in California at 1,620 feet.